Tied 13-all at halftime, the Wallabies found another gear in the second 40 stanza to claim the match five tries to two. 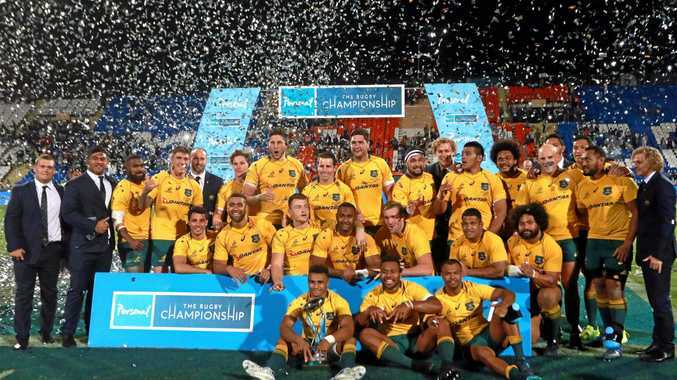 Australia surpassed South Africa in the final round of the Championship after the Boks fell 25-24 in Cape Town to the All Blacks - who claimed the trophy after going through the tournament undefeated. 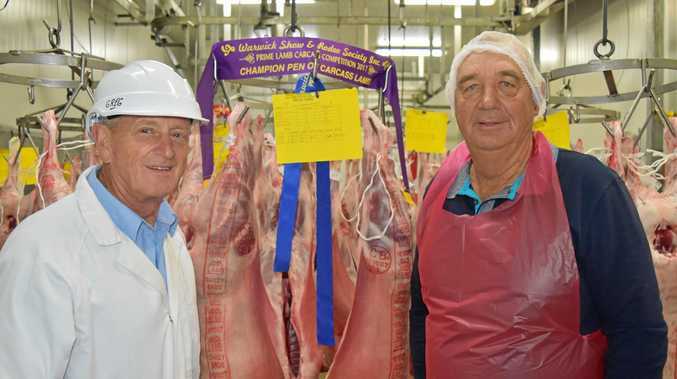 The Wallabies will face the All Blacks in a fortnight in Brisbane in the final Bledisloe Cup match, and while they can be pleased with their finish here in Mendoza's Estadio Malvinas, they cannot afford to make the same early errors against New Zealand. Australia's defence in the wider channels was suspect and at times their scrum and clean-outs struggled. Bernard Foley, who'd kicked 19 straight goals coming into this match, got a case of the wobbles and missed four straight before ending the night with five goals from nine attempts. A brilliant try by Marika Koroibete in the 23rd minute had Australia up by eight points. 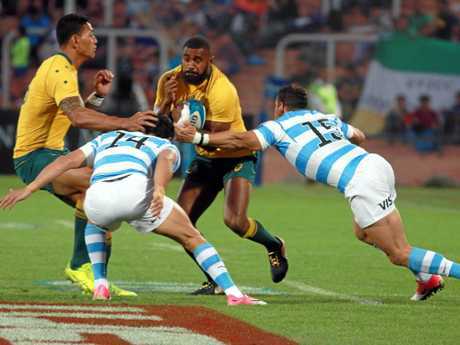 Some smart interplay between Kurtley Beale and Foley saw the ball shifted wide to Sean McMahon, who delivered a bullet short pass to his winger under enormous tackle pressure. Koroibete beat his man on the outside with a fend but stumbled in the contact. Just as it appeared Koroibete was heading face-first into the turf, he summoned the strength in his legs and hips to regain balance and score in the corner. Foley, who'd kicked the opening penalty in the 16th minute, missed the conversion, leaving Australia eight points in front. 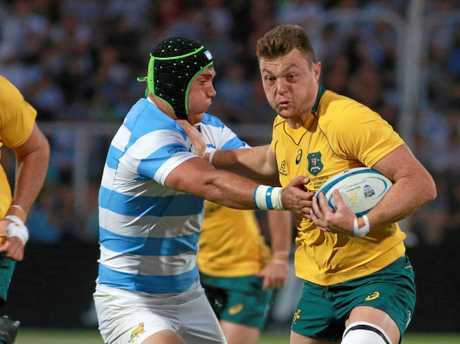 But two minutes later Argentina hit back, with towering lock Matias Alemanno reaching out to plant the ball under the posts from close range after numerous phases at the Australian line. Argentina took the lead for the first time at the half-hour mark, when Nicolas Sanchez struck a penalty to add to his conversion, giving the hosts a 10-8 advantage. It lasted just four minutes before the lead changed, with Reece Hodge scoring on the right wing. Australia turned down an easy penalty kick and opted to go for touch instead - a brave move considering they'd done the same earlier and come ip short. 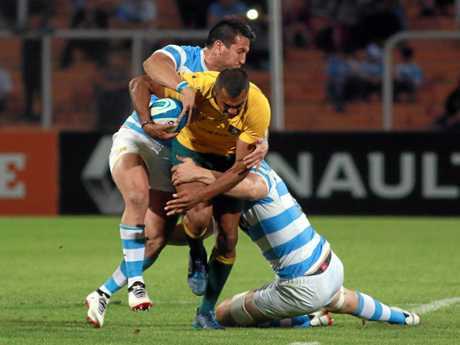 This time it paid dividends when after some hard running up the middle, the Wallabies dragged Argentina's defenders in. Will Genia spotted the enormous space out wide and with a huge cut-out pass found Hodge, who raced to the corner untouched. Another Sanchez penalty had scores even at the 38th minute and it remained that way until Foley broke through the Pumas defence 12 minutes into the second half. After missing his fourth kick in a row, the five-eighth took it upon himself to get a five-pointer, stepping inside Javier Ortega Desio and sprinting past despairing prop Lucas Noguera Paz to score under the posts. And Foley managed to nail the simple conversion. The 20-13 lead didn't last long, yet again, as the Pumas surged into enemy territory. Beale covered an attacking grubber just in front of the tryline was but was tackled into touch, giving Argentina a scrum five metres out. A huge Pumas push was repelled by the Wallabies pack, but after the ball was spread wide centre Santiago Gonzalez Iglesias cut back inside and ran through poor defence to score. Sanchez's conversion levelled it at 20-all. Australia then produced some set-piece magic when Michael Hooper ran off the base of a maul and passed the ball back inside to Hodge, who broke clear. Hodge drew the final defender and passed outside to Will Genia who sprinted over and with Foley's conversion Australia was ahead 27-20. Genia and Hodge appeared to combine for another stunning try when the halfback cut out three men to send the winger flying through from midfield to touch down under the posts. But French referee Mathieu Raynal referred the play to TMO Marius Jonker, who ruled that Genia had passed it forward to Tevita Kuridrani in the phase before the try and so it was disallowed. Pumas lock Marcos Kremer was sin-binned for a lifting tackle in the 70th minute and Foley's ensuing penalty gave the Wallabies a 10-point lead. Hodge did get his second try eventually, crossing out wide with two minutes remaining after Samu Kerevi took the ball out wide and managed to pass back in to Hodge just before his foot touched the sideline.